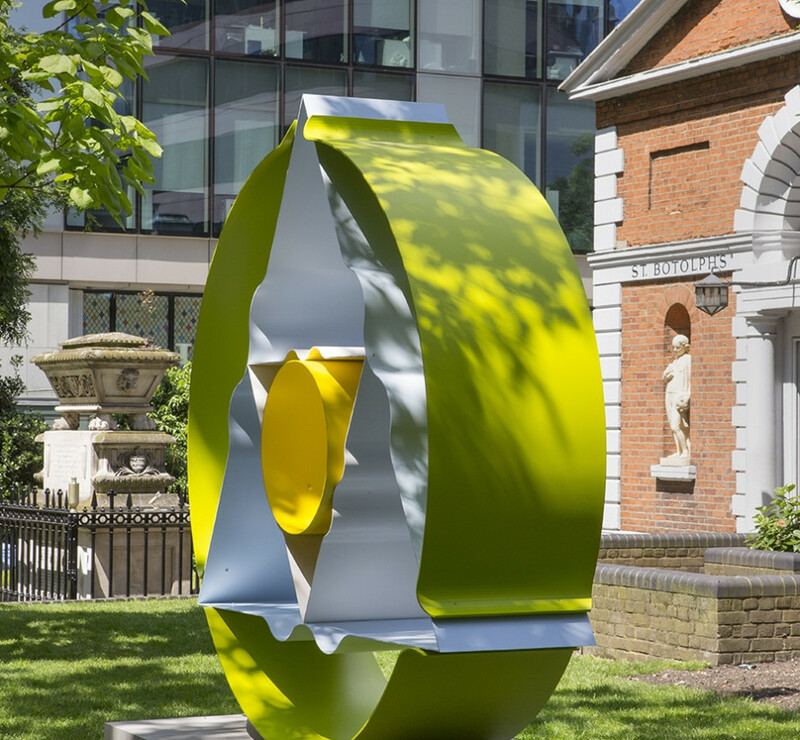 David Annesley’s monumental sculpture Untitled is on show in the City as part of the project Sculpture in the City. Sculpture in the City is an annual urban sculpture park set amidst the iconic architecture of the City’s insurance district. 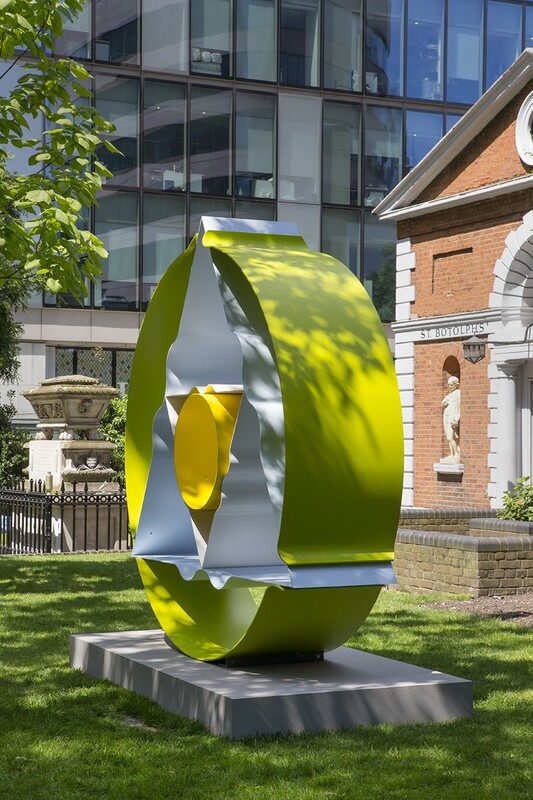 Every summer, the City of London, in partnership with local businesses, unveils a brand new selection of artworks by internationally acclaimed artists. World-class contemporary sculpture complements the unique architectural quality of the area and engages the passers-by, who range from local workers to architectural tourists, and animates one of the most dynamic parts of the City of London. 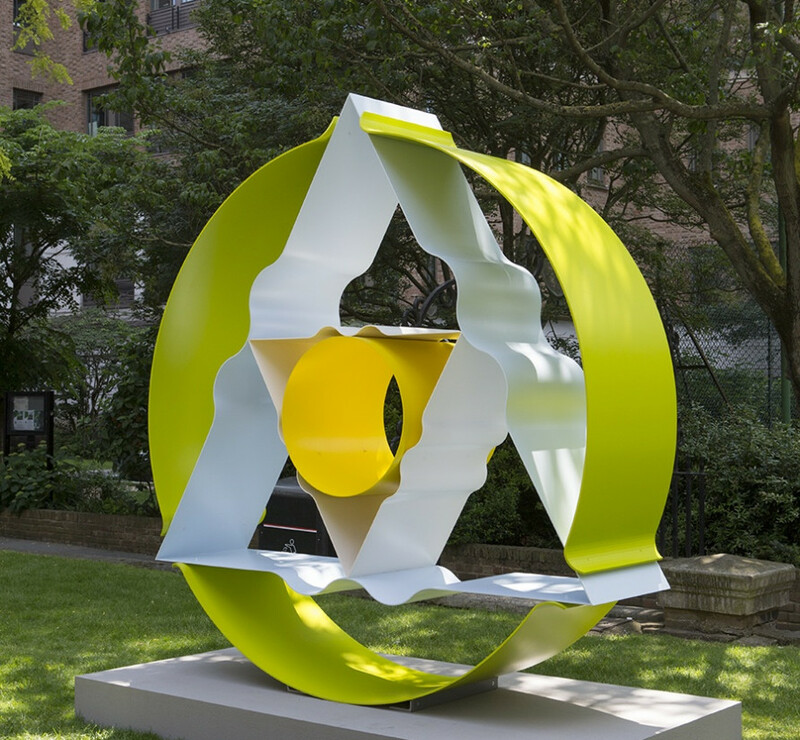 Now celebrating its 8th edition, Sculpture in the City has shown 81 artists and 97 artworks to date, continuing to grow from strength to strength. Untitled (1969) is a mandala-like form, which satisfyingly contains smaller shapes within itself in perfect equilibrium. Annesley found this type of structure ‘restorative…[it] release[s] endorphins and give[s] the eye and brain what it likes to do, namely introduce order’. These open-form, metal sculptures drew upon his own physical experience flying as an RAF pilot. They convey a sense of weightlessness and expand into and envelop the surrounding space outlined by their linear forms. In 1964, Annesley was introduced to the American Color Field painter, Kenneth Noland. 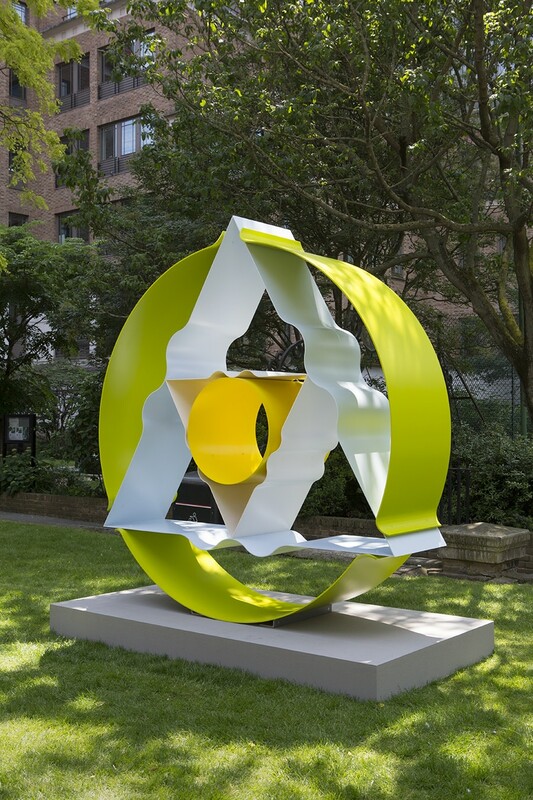 This artistic friendship was significant in bridging the traditionally separate mediums of sculpture and painting, and encouraged Annesley’s exploration of colour relationships in his sculptures.